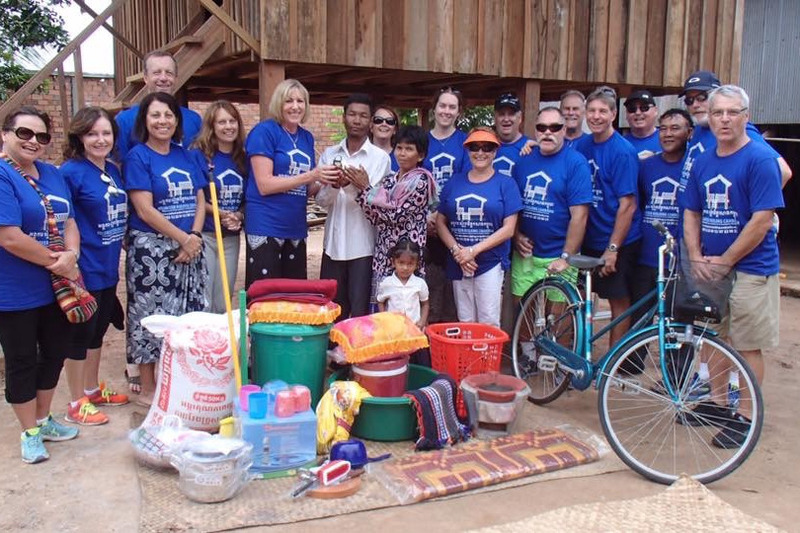 We are a group of like minded Perth people who, in conjunction with NGO Volunteer Building Cambodia (VBC), are improving the lives of poor villagers is Siem Reap. As in 2017, again this year a group is traveling to Siem Reap and in a week, building a new house for a poor family and dramatically improving their lives. Each house costs US$3000 in materials and labour is provided by us and supplemented by local building volunteers from VBC. In addition to houses, money donated is used to build communal toilets, wells for water and contribution towards a community centre that provides English classes for the local children. Our next trip is in June 2019 and we aim to build at least one house but with your help, who knows what we can achieve. By making even a small donation, you can help to change the life of a poor family in Siem Reap. Check out VBC Facebook page to see how they are delivering real improvements to the poor villagers of Siem Reap.